On Wednesday February 21, 2007, Kentroversy appeared on Vyzygoth's legendary talk-radio show, FROM THE GRASSY KNOLL. On Wednesday, February 21, 2007, I made an appearance on Vyzygoth's legendary talk-radio show FROM THE GRASSY KNOLL. We discussed the film EYES WIDE SHUT, and my 9,500 word essay on the occult symbolism of the film, which turned out to be Kubrick's last-ever movie, as he died under mysterious circumstances only four days after turning in the final print of the film to Warner Brothers. We also discussed many other subjects, and at the end of the interview, Vyzygoth not only invited me back for another appearance in March 2007, he also offered to have me on his show as a monthly regular. Of course, I accepted his offer, and I am grateful that things are progressing for me in a most satisfactory way. 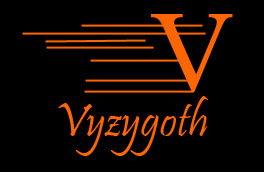 All interested readers should watch this space for announcements of future appearances on Vyzygoth's show, along with the other interviews that I have been thus far able to arrange. 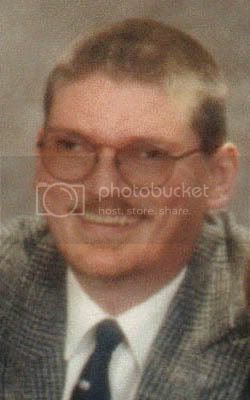 This is an extension of my writing here on THE KENTROVERSY PAPERS, and in future appearances, Vyzygoth and I will discuss the global conspiracy as seen through the eyes of a man who has family who are a part of the Global Elite Crime Syndicate, and are closely allied with the Bush Crime Family. We will also talk about the nearly 400 Kentroversy Papers that are a part of a growing archive of research-journalism done by myself on behalf of the public, who desperately need to be educated in these matters of a global conspiracy of true government crime. If it's REAL, it CANNOT be a theory! Wednesday, February 21, 2007 | 11:00am-12:00pm EDT | 60 mins. In this first interview with the infamous Vyzygoth, I will be discussing the popular 'EYES WIDE SHUT: Occult Symbolism' special report, which has the distinction of being the most widely-read of all the nearly 400 Kentroversy Papers that have been published thus far. We will talk about the film Eyes Wide Shut, and the occult symbolism contained in the film. In addition, we will talk about WHY this was Stanley Kubrick's final film, and its' relationship to mind-control, occult magick, and the real-life Illuminati, the most powerful secret society on the planet. Due to the response that Vyzygoth received from my appearances, he asked me to become a monthly regular on the third Monday of every month. I of course, agreed to do this, as I have such a great time talking with Vyzygoth, who is a well-read and patriotic man for whom I have a great deal of respect. On February 6, 2007, I gave an interview to the Japanese film publication STUDIO VOICE. The topic of discussion was my report on the film Eyes Wide Shut. On Tuesday, February 6, 2007, I was interviewed by the Japanese Film Publication STUDIO VOICE on the subject of my popular EYES WIDE SHUT special report, which has ignited interest and curiosity from all parts of the world. The interview was conducted by Patrick Macias and was thirty-minutes in length, where I was asked further questions regarding matters I brought up in the report itself. This interview appeared as part of an article on EYES WIDE SHUT in the April 2007 issue of STUDIO VOICE, a Japanese language publication dedicated to Hollywood and Japan feature films. Tuesday, February 6, 2007 | 3:00pm to 3:30pm | 30 mins.